Firstly, thank you for pledging for a ticket to the launch show, despite not even knowing where or when it will be! All tickets will be administered through Eventbrite and redeeming your free ticket couldn't be easier. The link you need to head to first is http://smarturl.it/JCTCLaunchTickets. On your original order confirmation email from PledgeMusic, you would have received a 7-digit order number which follows the format 2xxxxxx. This acts as your discount code for Eventbrite, so all you need to do is head to the URL above, punch in your order number in the promotional code field and you will automatically receive your ticket free. The order number is linked to the number of tickets you purchased on the PledgeMusic campaign, so if you pledged for 2 tickets, you will receive 2 free tickets through Eventbrite. The discount code is limited to one use and all free tickets must be redeemed before the event through the ticket link, meaning no discount will be given on the night if you do not redeem your tickets. 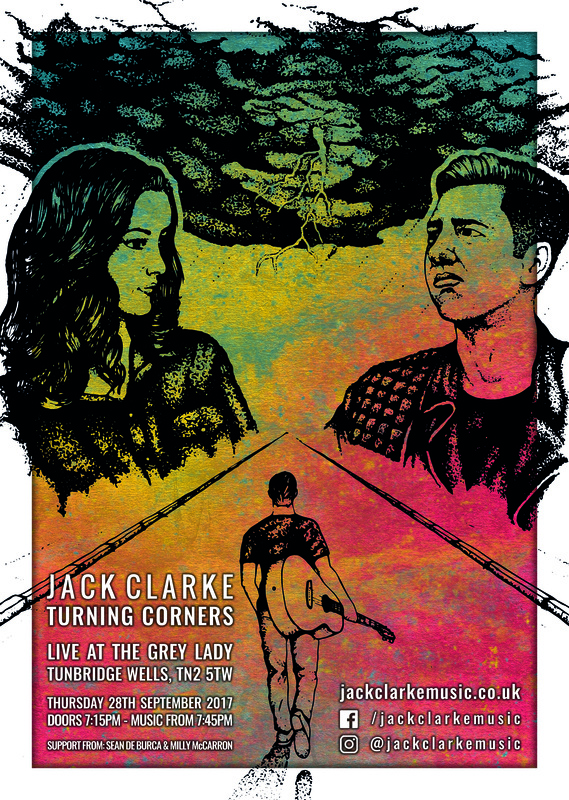 If you have issues redeeming your tickets or you can't find your order number, ping an email over to pledge@jackclarkemusic.co.uk and I'll make sure it all gets sorted for you! If you haven't yet got a ticket for the launch show, what are you waiting for?! You can buy tickets right now through Eventbrite for £5. All you need to do is head to http://smarturl.it/JCTCLaunchTickets. There will also be tickets available on the night if we don't sell out, but I think it's best to get in early to avoid disappointment!